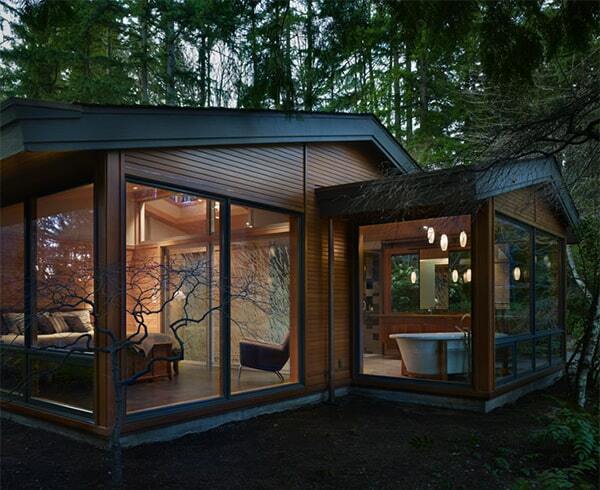 Now, this is what we call a tree house! 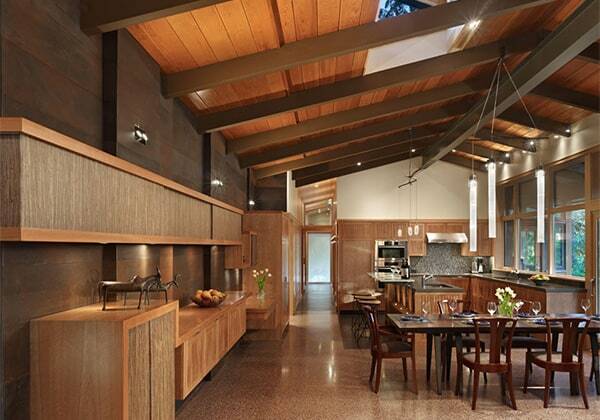 This wood house design by Seattle-based Finne Architects embraces its forest roots, but with refined flair. 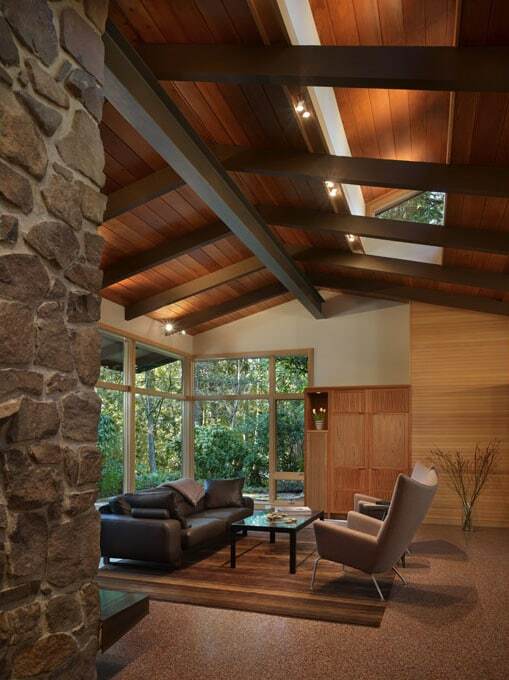 The cabin-style design boasts natural-finish wood and a stone fireplace feature anchoring the “great outdoors.” Skylights flood the two-storey living areas with natural light while providing a view of the surrounding forest. The kitchen and adjoining living area is a certain hotspot in this house. 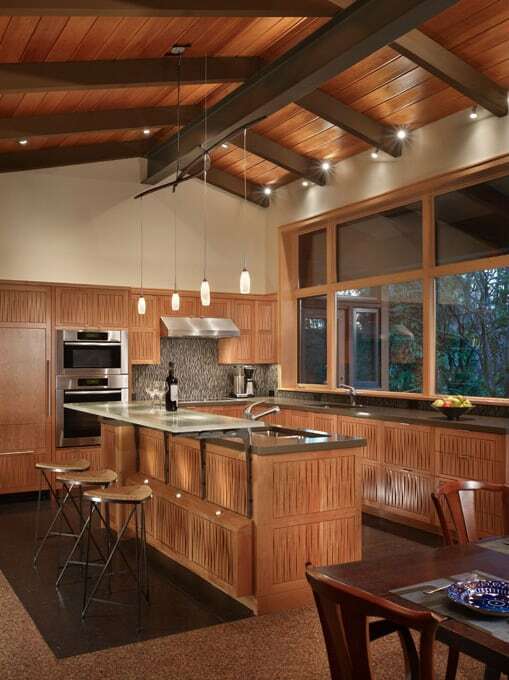 We love the interplay of the drastically different types and textures of wood clad walls, ceiling and cabinets. This eclectic look is complemented by subtle industrial-chic details, like the countertop supports and the under-counter mini potlights. 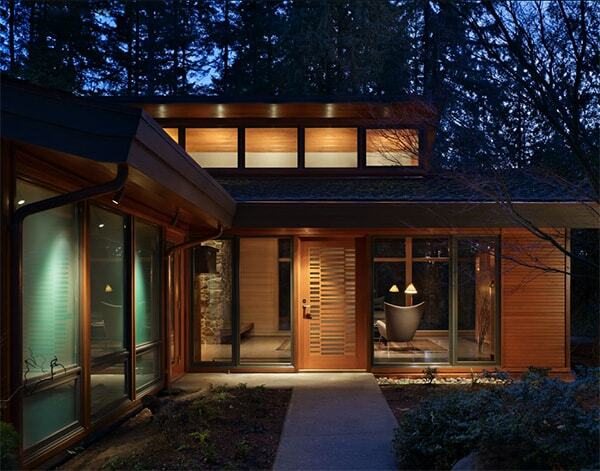 Another favorite in this house is the bathroom, featuring more gorgeous wood, windows and mirrors galore. 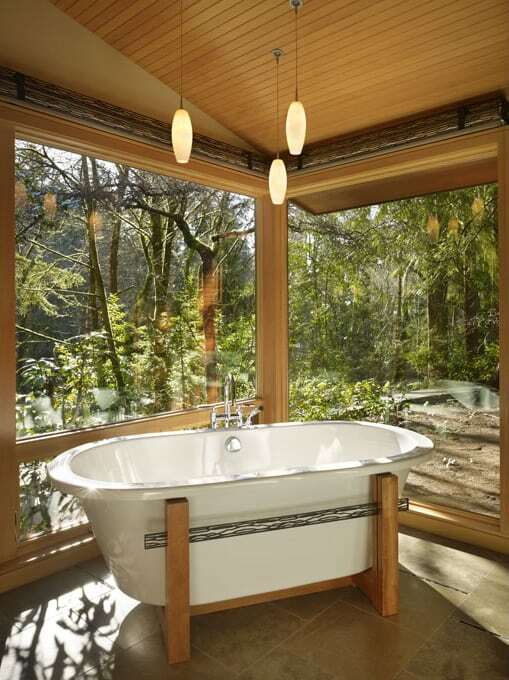 The bathtub is nestled in a glass-wall corner; you’ll feel like you’re bathing in the great outdoors. 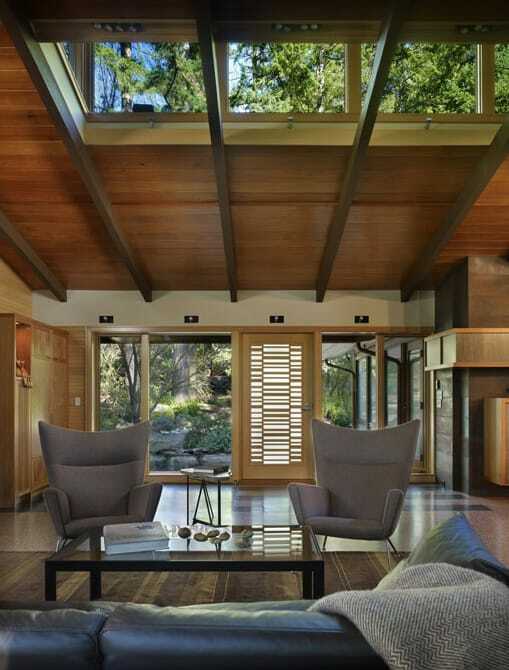 Interior glass walls maintain an open-concept feel, but with the benefit of a little privacy. 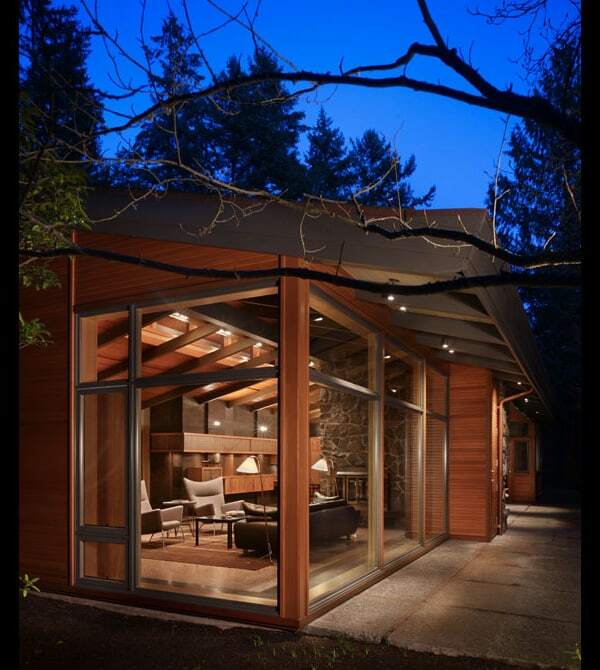 Finne Architects.